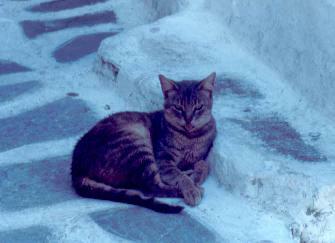 The Island of Mykonos is home to numerous cats. They come in all colors and markings. 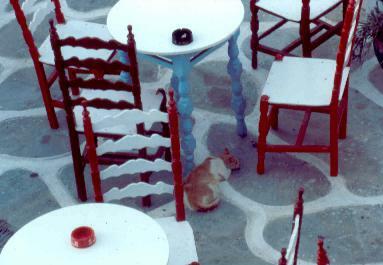 They have adapted to the quiet relaxing lifestyle of the island. Here are a few of them. 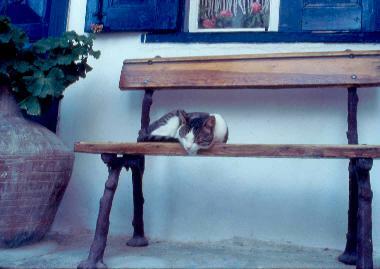 Asleep on a bench intended for weary travellers. Resting in a restaurant between meals. 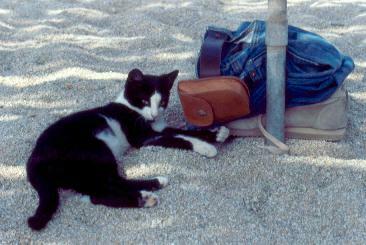 Protecting my clothes while I enjoyed the beach. 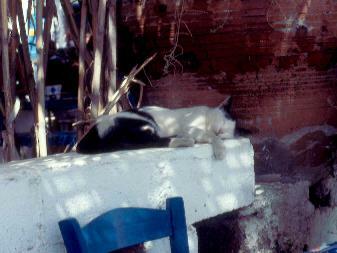 Resting on the wall between the beach and restaurant. Watching the world go by on the sidewalk. 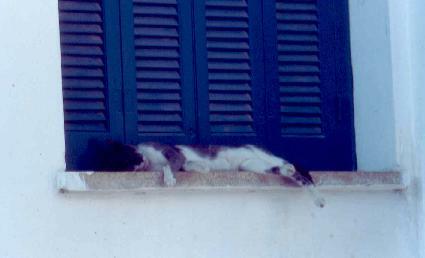 Asleep on a window sill.